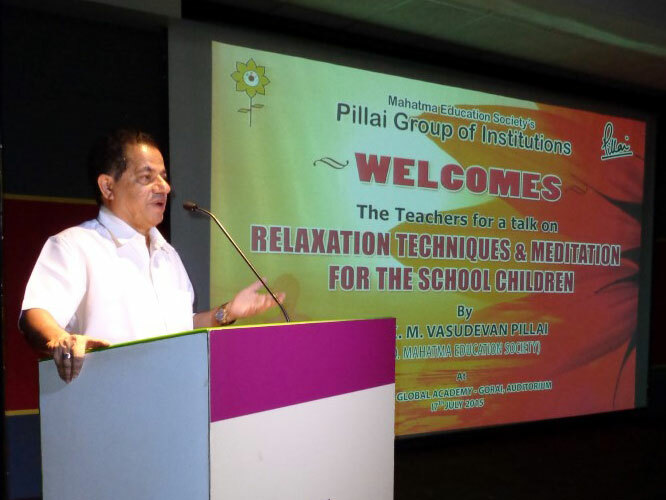 An enlightening session on meditation was conducted by Dr. Vasudevan Pillai for the teachers in school campus on Friday evening, 17th July 2015. 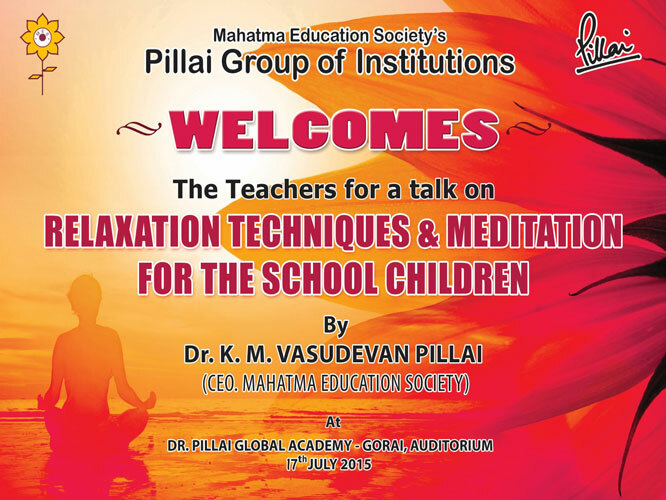 The Meditation session commenced with Dr. Pillai talking about his life and about the different institutions running under the banner of Mahatma Education Society. 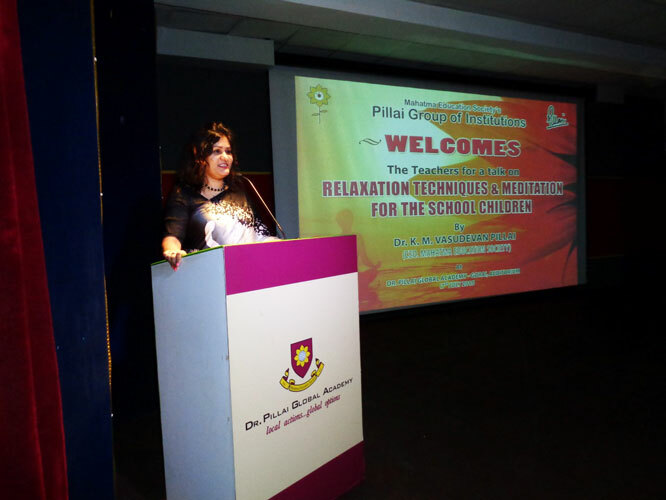 He then explained about the stressful life that we all live with and how meditation can be of great help not only for the teachers but also for students. 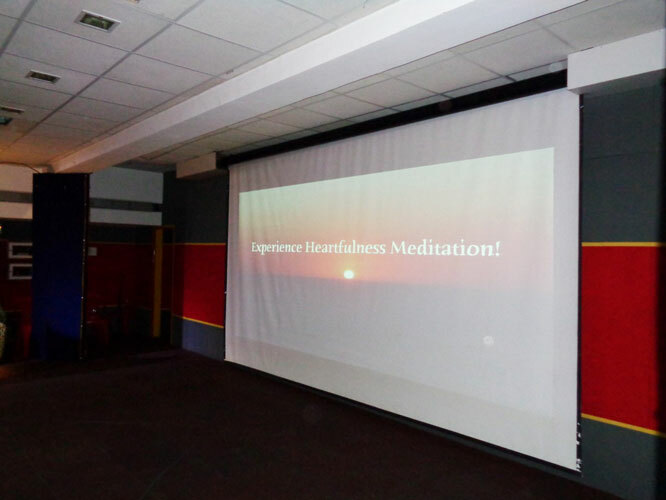 A video on ‘Heartfullness’ guided the audience on the different techniques of relaxation. It also highlighted the concept of THOROUGH THOUGHTS, THOROUGH MANAV i.e think good and do good deeds to be a better human being. 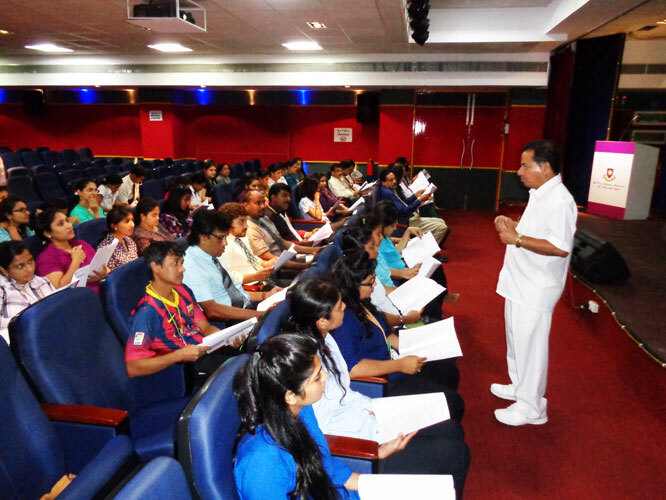 The teachers were given a booklet based on healthy teaching methods. 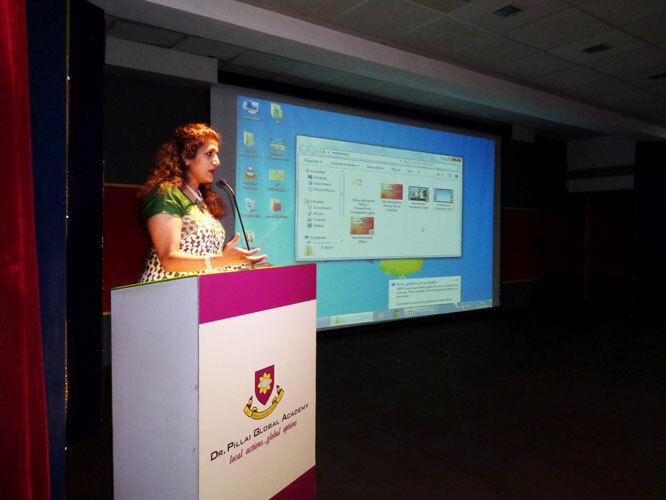 The book emphasised on holistic approach of teaching. 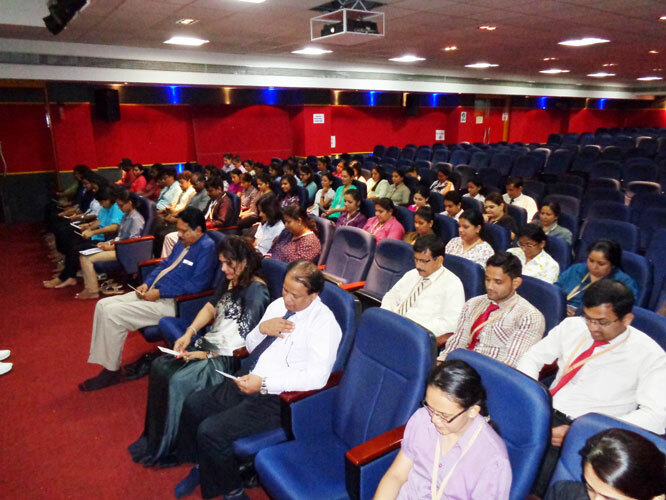 The session ended with teachers meditating and relaxing giving a thought to the entire day’s schedule.